Have you ever thought about making a pencil holder out of an old drinking glass? It may sound like something that would do in a pinch but not as permanent desk decor. 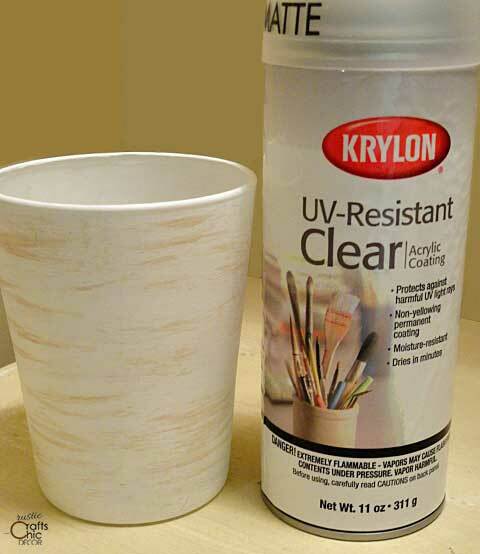 However, you can easily transform an ordinary glass into decorative office storage with the use of acrylic paint. 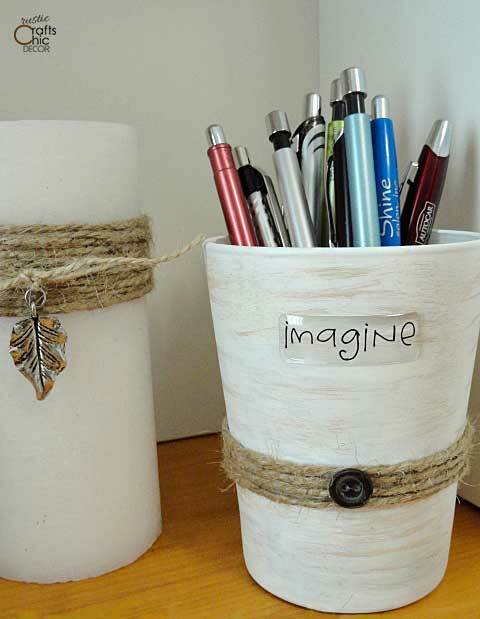 That is exactly what I did with this DIY pencil holder! The end result looks more like rustic ceramic than it does glass. It all started with a random drinking glass that had seen too many days in the dishwasher. The glass was permanently etched and clouded over. I thought about throwing it out but then decided to do a little experimenting with it. Almost anything can be made better with paint and so that is where I started. 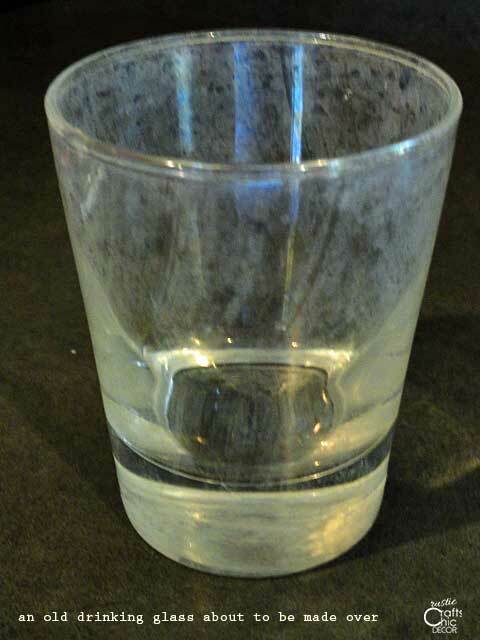 I’ll start with the before picture of the drinking glass. As you can see, it should no longer be used to drink out of! I really love giving new life to old objects so this craft project felt really rewarding. Here is what I did. 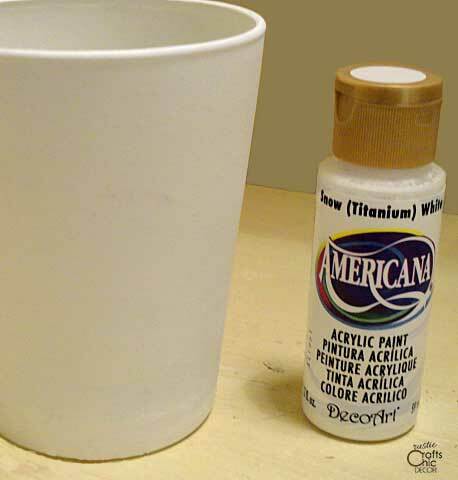 To start, I applied two coats of white acrylic paint to the outside of the glass and let it dry. This gave me my base to start with. I could have just left the glass with a solid color of paint. However, I wanted it to look a little more distressed and rustic. 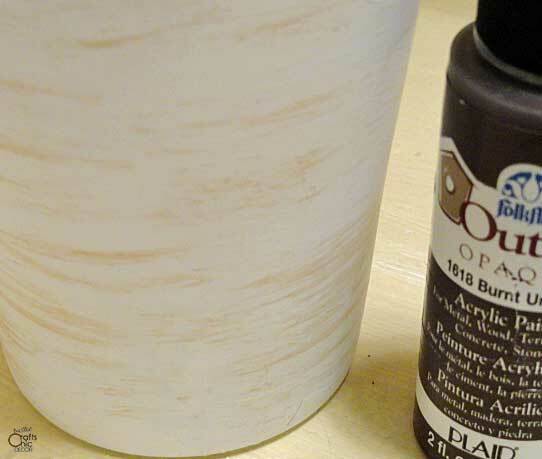 So, I lightly brushed on some burnt umber acrylic paint for a slightly rusted look. Another fun option would have been for me to paint this to look like birch bark. To prevent the paint from scratching and to give it a good seal, I then sprayed on some matte finish acrylic sealer. To make the pencil holder a little more fun and inspiring, I added some extra embellishments. Some twine, a button, and an acrylic sticker completed the look of my DIY pencil holder. I applied some tacky glue to my twine and wrapped it around the glass a few times. Then, I glued the button to the twine. The epoxy sticker had a strong adhesive back to it so I just stuck it on the pencil holder as is. Now all I had to do was fill it up with all my pens and pencils! I love seeing it on my desk and I’m happy that I was able to make it for pennies. Plus, I didn’t have to waste the glass. To complement my new pencil holder, I also wrapped twine around a white pillar candle. If you liked this idea for budget storage, you will also want to check out my post on more homemade storage ideas. 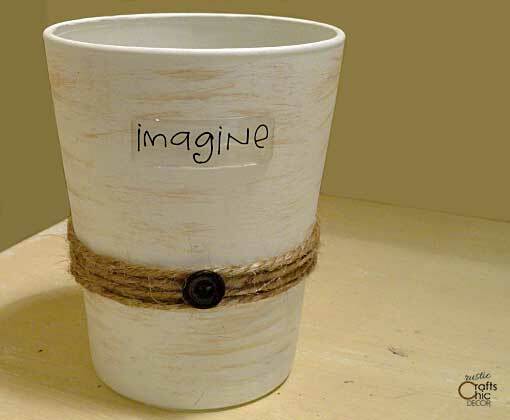 See how you can get all kinds of new storage containers just by recycling what you have.